Keep your eyes open next Monday for the IPSC66 October 22 registration email. 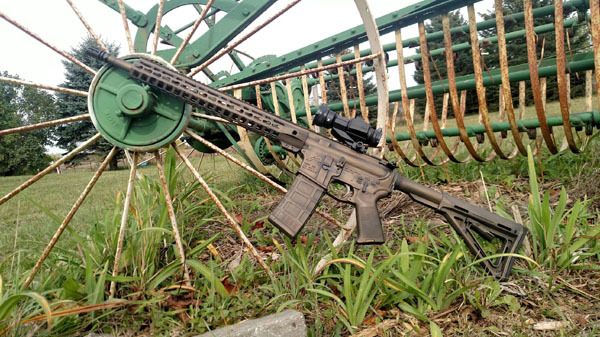 The AR pictured above was custom built by Pat Morris and will be given to one lucky match registrant. The cost of the match is $15 above the usual and yes, you must be present to win. After completion of the required paperwork, the random-draw prize winner will actually go home with this beauty as displayed with scope and magazine. You’ll want to get this baby out ASAP if you’re the winner so be sure to register for the following Sunday’s 2-gun match. With 5 Sundays this month, the match planning committee decided it would be fun to do something special as many of you prepare for deer season. What better way to show off than with this amazing custom built gun? Last month was our annual Special Classifier match and the first official match that utilized our newly finished bays. A lot of people complained about putting classifiers in such a large open space but don’t worry, this month’s match on June 25th will utilize the space. This month we’re back to the standard – 9 field courses requiring 24-32 rounds each and an anticipated round count of 245. We will be using the new bays so anticipate some long shots in addition to the usual steel and movers. Because we have a number of new shooters joining us this season we’ll translate that last bit for you – bring more than 245 rounds of ammo, you’ll need it. If you bring 350-400 rounds you should be okay barring excessive misses or reshoots. The Wayne County Raccoon Hunters Club (IPSC66) is hosting a USPSA level I RO clas July 29 – 30. The class costs $40 (US) and is open to any current USPSA members. The RO class is a great way to learn the rules and get comfortable with the range commands. Contact Roy Neal if you’re interested in attending. We have free practice on Thursday evenings from 5:30 – 8 p.m. You don’t have to be a USPSA or WCRH member to join our practice sessions. Eye and hearing protection is required! We are happy to host new shooters looking to join in the excitement and fun that USPSA has to offer but safety is our first concern so if you’re not familiar with USPSA we strongly suggest coming to practice before attending a match. (We hate sending people home for avoidable safety infractions but will) It is also the best way to learn about the right gear needed to participate in each division – a very valuable lesson! The IPSC/USPSA shooting season doesn’t (officially) start at Wayne County Raccoon Hunters (WCRH) until April and already things are buzzing along. We will continue to use the Practiscore pre-registration this year. If you are not on the list to receive the email updates you should send your information so that you are alerted when registration opens. If you show up at a match and did not pre-register you will not be squadded unless someone who was registered doesn’t show. If you register – show up! We understand that life happens and will overlook an occasional no show. A call before the match is appreciated so we can notify people on the wait list of openings. Our matches are the best thing you can do in south-east Michigan on the fourth Sunday of the summer months and we want to provide the opportunity to participate to as many as possible. Habitual no-show offenders will be given notification and squadded last for future matches. Canadian IPSC shooters are welcome at our matches and will need to complete the appropriate forms before crossing the border with their guns & ammo. The Invitation Letter for Michigan’s USPSA matches is available to download and print from the link below. There are other forms to complete and procedures that visiting shooters must follow. Contact Roy or one of your fellow Canadians for the details. Be sure to leave extra time to cross the border when transporting your guns and gear – sign in for our matches closes at 09:30 and shooting starts at 10:00 a.m. whether everyone’s there or not. WCRH is proud to have enough member RO and CROs to assign to each squad at our matches. This allows visiting shooters the opportunity to have fun without the distractions of ROing or scoring your friends. We certainly do appreciate the help that visiting ROs and CROs offer, however. If you want to take the level 1 – RO or level 2 – CRO NROI training now is the time to pencil it in. We will post the Level 1 class details on our Facebook page as soon as they’re confirmed. 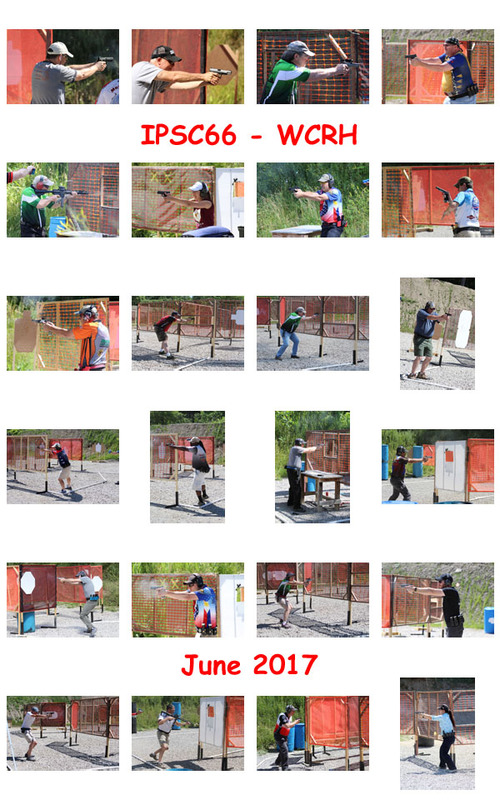 The USPSA group at WCRH will continue to host open practice on Thursday evenings. If you’re new to the sport check out the new shooter overview then show up with your gear. We love bringing new shooters into the sport and think that the best time to learn is at a low-stress practice session – not a match. There isn’t an official start date for practice so keep an eye out here, on Facebook, or subscribe to receive updates in your email’s in box. If USPSA-style shooting is too fast or competitive for your liking or being up on Sunday mornings isn’t your thing, check out the WCRH’s IDPA program. Like us, they are a nice group of people that are happy to introduce new shooters to their sport. No matter what sport you choose at WCRH safety is our first concern followed by fun.